InSinkErator® (Garbage Disposal Unit). (GDU) is a food waste disposer. These are the perfect complement to a modern kitchen and the busy Australian lifestyle. With the kitchen becoming the entertaining hub of our homes, a quick and easy way to dispose of food waste represents the ideal kitchen solution. With a food waste disposer, food scraps are conveniently and hygienically deposited down the sink, ground into fine particles and flushed safely into the sewage system, eliminating the need for food waste bins and nasty food smells. We can recommend the best GDU to suit your needs and they are easily installed by one of our plumbers. You will require a double bowl sink so the GDU can be installed on one sink, leaving the other sink as normal. 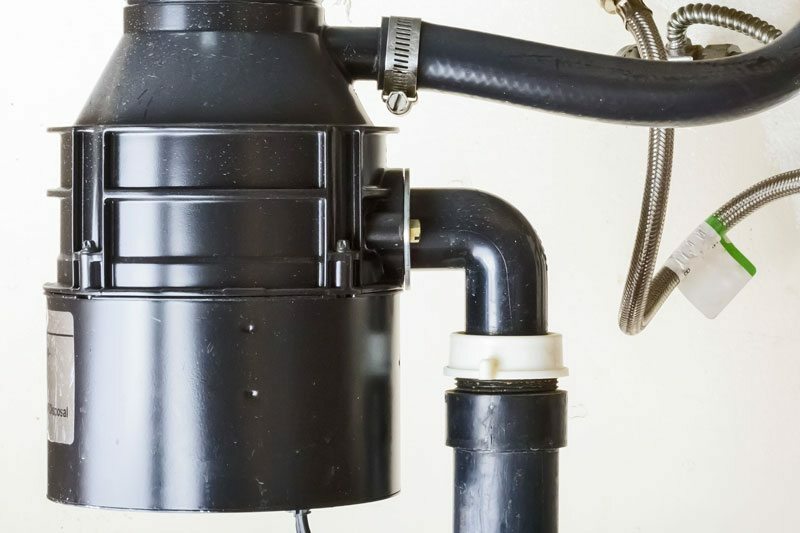 If you have a Garbage Disposal Unit you no longer require, we can easily remove it and re-plumb back to a normal double bowl sink.